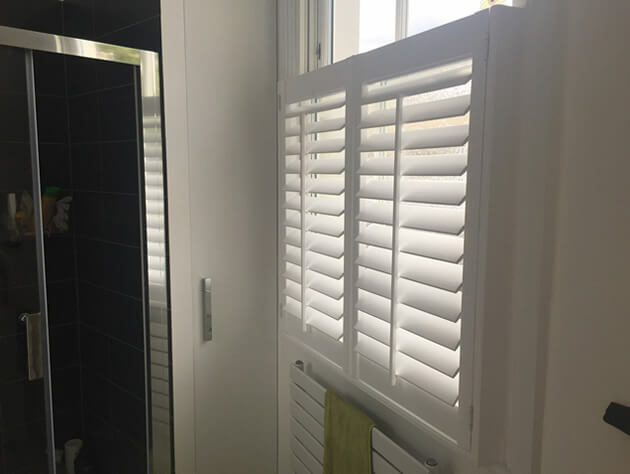 Ben and Kirk were in South London in the area of Peckham to help with the design and installation of some new shutters for a bathroom and shower room. The client required privacy while still maintaining maximum light flow throughout the rooms. 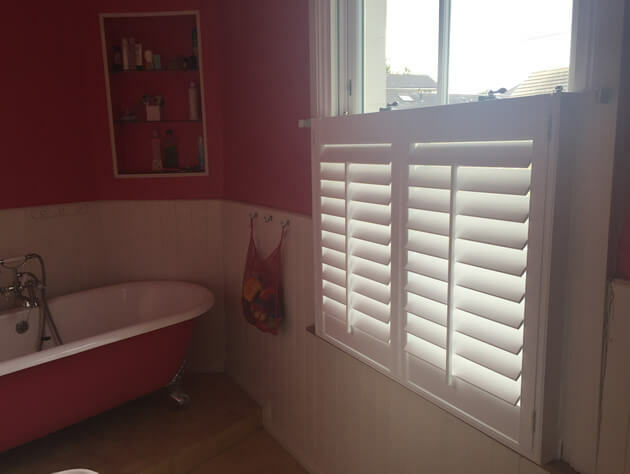 We achieved this by fitting some cafe style shutters which allow the bottom half of the window to be covered and adjusted, while the top is open to the light. As you can see both the shower and the bath are protected with the perfect level of privacy using this setup. 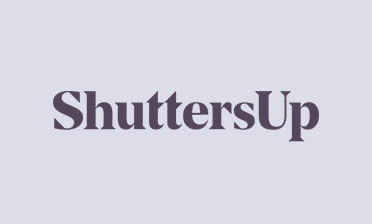 The shutters were created using MDF and a 3 sided insert L frame. 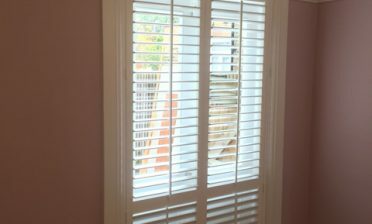 They use thick 76mm louvres with central tilt rods for ease of adjustment. 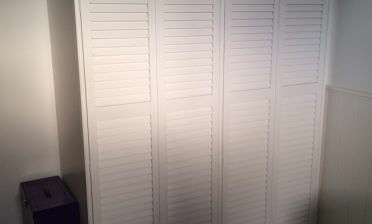 Both shutters were finished in pure white with matching white hinges, matching both the decors perfectly.